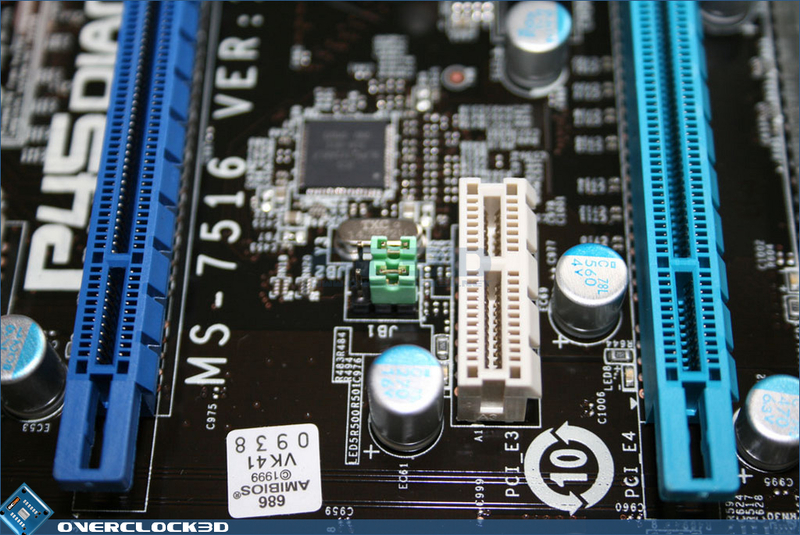 One of the major attractions of an Asus board is the vast array of features they have, some of which you may find useful, others seem to be more inclined to sell the board rather than to be made use of depending on your main intentions. MSI seem keen to push DrMOS, which holds a trio of functions. Similar in task to the ASUS EPU chip, the MSI variant claims an efficiency rating of 93.1% giving -6w loss compared to legacy mosfets. This figure is lower than the Asus equivalent 96%+ rating, but those of us non-politically correct overclockers tend to care little about how 'green' our boards are and are much more interested in how cool and stable the power delivery system is. Because of the above GreenPower, both variants of this serve to run the mosfets cooler due to this higher efficiency with the MSI, reporting a 16c drop in temps due to the new design over the older legacy design. Again MSI and Asus have taken similar directions with power delivery, but MSI are calling their variant RapidBoost. With a higher power density in the VR, the potential for overvoltage is increased. Along with a dedicated chip that switches the power load in response to processing conditions, this makes for a very efficient performance enhancer. 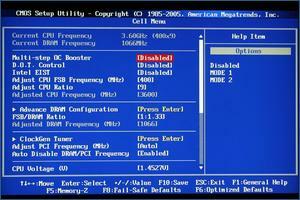 The two little green OC jumpers (above left) allow you to instantly overclock the FSB to 5 different levels: 200 (default), 266, 333 and 400mhz, depending on their orientation which, as it is hardware set, will provide greater stability according to MSI rather than just BIOS settings alone. They are, however, in a very awkward position and will be difficult to use with even a double slot card above, never mind a CrossfireX solution, so I can't help feeling these might not be made use of too often. 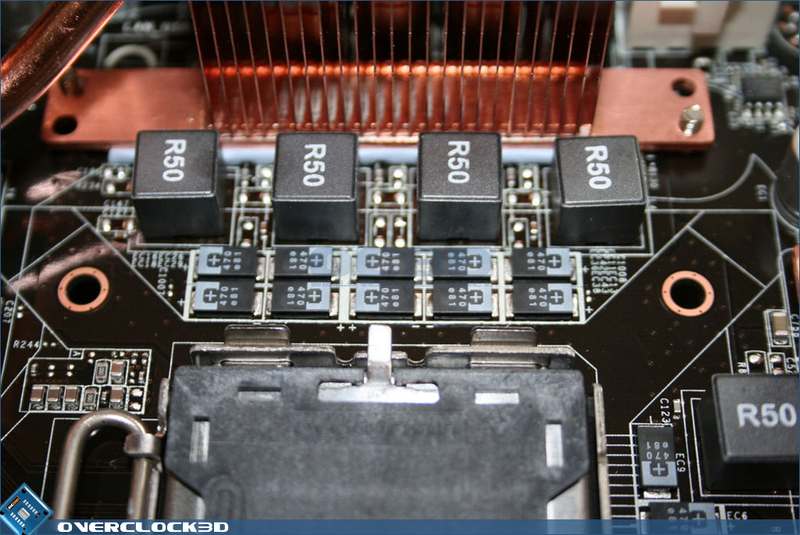 Above right we see the Hi-C Cap (capacitors). Due to the higher heat resistance, MSI inform us that high overvoltage and therefore high overclocks should be possible, and due to the reduced heat these types of capacitors should also be more durable, lasting 1000hrs @ 85c according to MSI. Rather than air cool the Northbridge, MSI have given the user the option to use a watercooling solution - testament to the fact that the P45 chipset is most likely just as hot as its predecessor, the P35. The Circu-Pipe waterblock is innovative in that it uses a 2 in / 2 out design. Flipping the board over we see the backplate design, which is always welcome. This also signifies that both the CircuPipe waterblock covering the Northbridge and the left most heatsink covering the mosfets are screw down variants. Again, MSI opted for pushpins on the remaining motherboard heatsinks. I couldn't resist taking a closer peek at the waterblock itself and I was shocked to see that the inlet/outlets were tiny. Reducing down from the most commonly used 1/2" tubing to what appears to be less than 5mm inside diameter will massively restrict flow and therefore provide a less than ideal cooling solution. That said, the heat dissipation from water exceeds that of air, so if you plan on having a separate loop for the NB, then this block should provide the cooling necessary with its relatively tall, albeit widely spaced, fins. 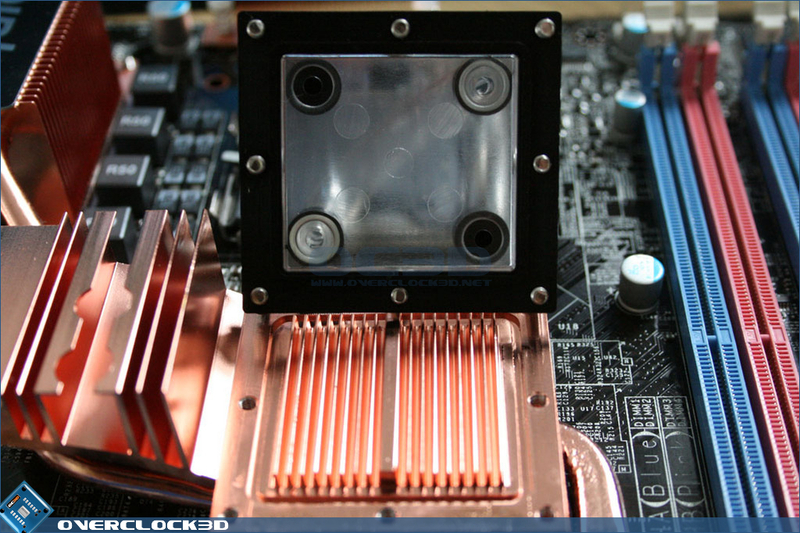 I am unsure whether the mid-plate is copper or Aluminum, and one can only hope that it is the former as mixing metals in a waterloop is seen as a big No-No in the watercooling fraternity. 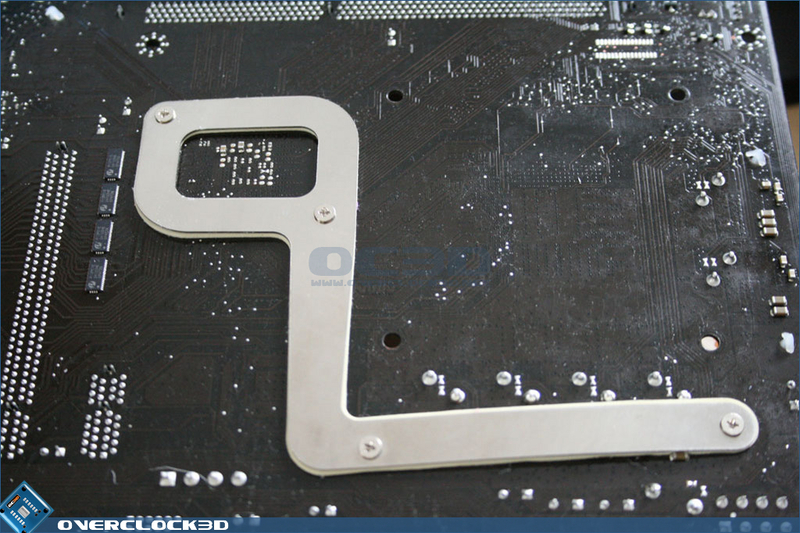 Maybe in later revisions MSI engineers would do well to take a few ideas from current aftermarket chipset waterblocks, as I feel any serious watercooler will most likely replace this block with their own choice. 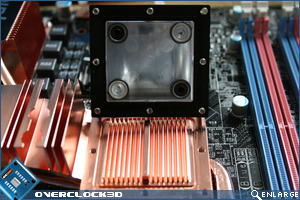 The block is not even of a solid design, being 'welded' to the baseplate, which will further decrease cooling capacity. 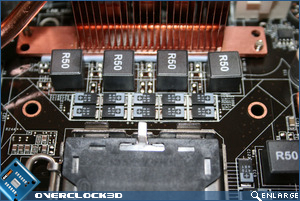 The heatpipes are then threaded between the midplate and baseplate to assist with the cooling of the Southbridge and mosfets. I do wish manufacturers would get the design right the first time rather than making what appears to be a hash of it and charging us for the privilege of removing it to attach our own preferred waterblocks. It is, however, creditable that MSI have acknowledged the widespread and increased use of watercooling in today’s enthusiast market, and the design is not much worse than that of the Asus ROG SE waterblocks. Although it is of a poor design, it is better than air cooling and will give the watercooler the option of watercooling the NB without having to void the warranty by ripping off the heatsink assembly. 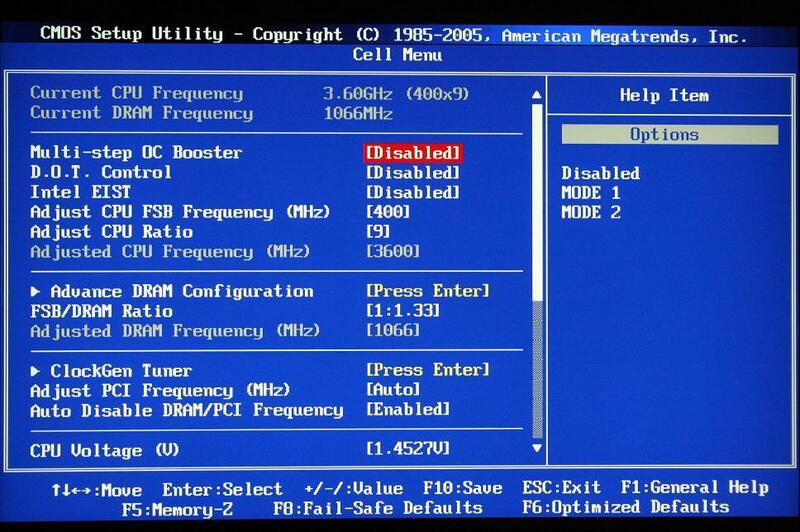 Jumping straight in at the deep end and into the 'Cell' section (which to you and me is the overclocking section), we see the layout is vastly different from the Asus BIOS. 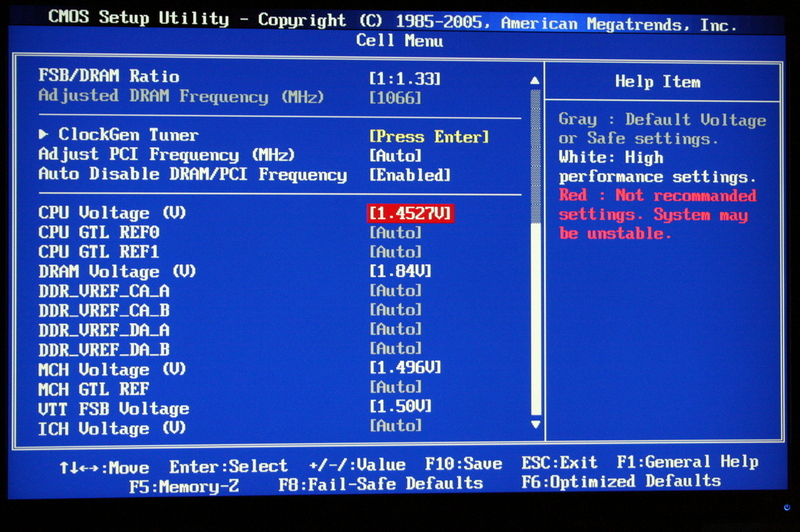 I was puzzled at first as to how to change the more common settings such as Vcore since they were greyed out. They are changed via the + and - keys and cannot be directly typed in nor will a drop down list be available for you to choose your selection. 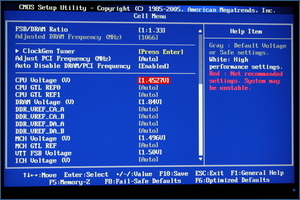 There are, however, a fair amount of settings available, and once you spend some time getting to grips with the BIOS, it becomes pretty straight forward.